The complete offering terms are in an offering plan available from the Sponsor: 56th and Park (NY) Owner, LLC. File No. CD11-0239. Sponsor address: 56th and Park (NY) Owner, LLC, 540 Madison Avenue, New York, NY 10022. Sponsor reserves the right to make changes in accordance with the terms of the Offering Plan. Under California Civil Code Section 1798.83, California residents who have an established business relationship with 56th and Park may choose to opt out of our sharing their Personal Information with third parties for direct marketing purposes. If you are a California resident and (1) you wish to opt out; or (2) you wish to request certain information regarding our disclosure of your Personal Information to third parties for direct marketing purposes, please contact us as set forth above. 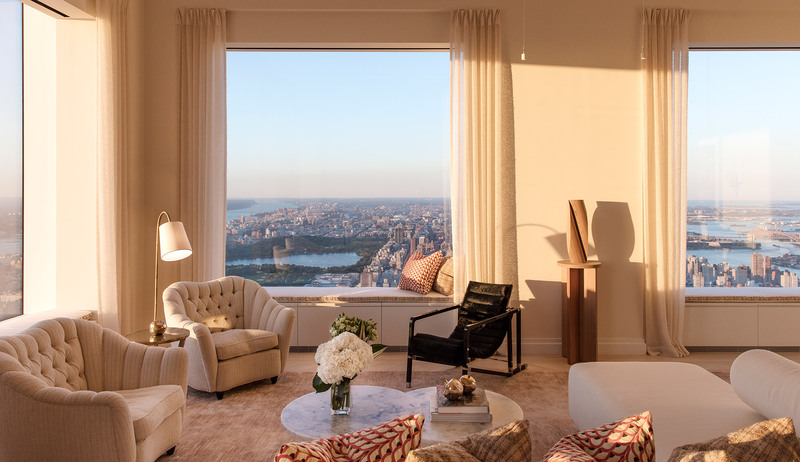 If you wish to access, update, or delete contact information or preferences, please send an email to info@432parkavenue.com.com. Please be aware, however, that we cannot always ensure that such corrections or deletions will immediately be made in our database. 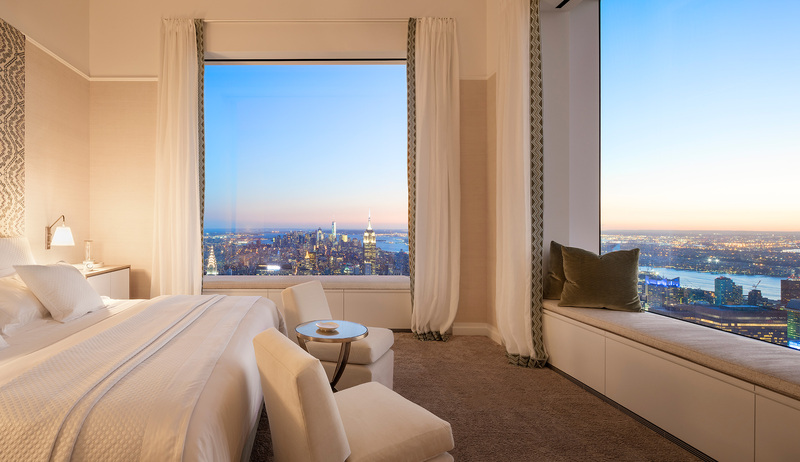 Welcome to www.432parkavenue.com (the “Website”). The Website is owned and operated by 56th and Park (NY) Owner LLC (“56th and Park,” “we,” “us,” or “our”). You will not cover, obscure, block, or in any way interfere with any advertisements and/or safety features (e.g., report abuse button) on the Website. We reserve the right, in our sole and absolute discretion, to deny you access to the Website, or any portion of the Website, without notice, and to remove any user submissions, if any, that do not adhere to these guidelines. The Website contains material, such as software, text, graphics, images, sound recordings, audiovisual works, and other material provided by or on behalf of 56th and Park (collectively referred to as the “Content”). The Content may be owned by us or by third parties. The Content is protected under both United States and foreign laws. Unauthorized use of the Content may violate copyright, trademark, and other laws. You have no rights in or to the Content, and you will not use the Content except as permitted under this Agreement. No other use is permitted without prior written consent from us. You must retain all copyright and other proprietary notices contained in the original Content on any copy you make of the Content. You may not sell, transfer, assign, license, sublicense, or modify the Content or reproduce, display, publicly perform, make a derivative version of, distribute, or otherwise use the Content in any way for any public or commercial purpose. The use or posting of the Content on any other website or in a networked computer environment for any purpose is expressly prohibited. The trademarks, service marks, and logos of 56th and Park (the “56th and Park Trademarks”) used and displayed on the Website are registered and unregistered trademarks or service marks of 56th and Park. Other company, product, and service names located on the Website may be trademarks or service marks owned by others (the “Third-Party Trademarks,” and, collectively with the 56th and Park Trademarks, the “Trademarks”). Nothing on the Website should be construed as granting, by implication, estoppel, or otherwise, any license or right to use the Trademarks, without our prior written permission specific for each such use. Use of the Trademarks as part of a link to or from any site is prohibited unless establishment of such a link is approved in advance by us in writing. All goodwill generated from the use of 56th and Park Trademarks inures to our benefit. WE MAKE NO WARRANTIES OR REPRESENTATIONS ABOUT THE CONTENT OR THE WEBSITE. WE SHALL NOT BE SUBJECT TO LIABILITY FOR ANY DELAYS OR INTERRUPTIONS OF THE WEBSITE FROM WHATEVER CAUSE. YOU AGREE THAT YOU USE THE CONTENT AND THE WEBSITE AT YOUR OWN RISK. WE DO NOT WARRANT THAT THE WEBSITE WILL OPERATE ERROR-FREE OR THAT THE WEBSITE, THE SERVERS, OR THE CONTENT ARE FREE OF COMPUTER VIRUSES OR SIMILAR CONTAMINATION OR DESTRUCTIVE FEATURES. IF YOUR USE OF THE CONTENT OR THE WEBSITE RESULTS IN THE NEED FOR SERVICING OR REPLACING EQUIPMENT OR DATA, WE SHALL NOT BE RESPONSIBLE FOR THOSE COSTS. THE CONTENT AND THE WEBSITE ARE PROVIDED ON AN “AS IS” AND “AS AVAILABLE” BASIS WITHOUT ANY WARRANTIES OF ANY KIND. WE DISCLAIM ALL WARRANTIES, INCLUDING, BUT NOT LIMITED TO, THE WARRANTY OF TITLE, MERCHANTABILITY, NON-INFRINGEMENT OF THIRD PARTIES’ RIGHTS, AND FITNESS FOR PARTICULAR PURPOSE. IN NO EVENT SHALL WE BE LIABLE FOR ANY DAMAGES WHATSOEVER (INCLUDING, WITHOUT LIMITATION, INCIDENTAL AND CONSEQUENTIAL DAMAGES, LOST PROFITS, OR DAMAGES RESULTING FROM LOST DATA OR BUSINESS INTERRUPTION) RESULTING FROM THE USE OR INABILITY TO USE THE CONTENT OR THE WEBSITE, WHETHER BASED ON WARRANTY, CONTRACT, TORT (INCLUDING NEGLIGENCE), OR ANY OTHER LEGAL THEORY, EVEN IF WE HAVE BEEN ADVISED OF THE POSSIBILITY OF SUCH DAMAGES. SOME STATES DO NOT ALLOW EXCLUSION OF IMPLIED WARRANTIES OR LIMITATION OF LIABILITY FOR INCIDENTAL OR CONSEQUENTIAL DAMAGES, SO THE ABOVE LIMITATIONS OR EXCLUSIONS MAY NOT APPLY TO YOU. IN SUCH STATES, OUR LIABILITY SHALL BE LIMITED TO THE GREATEST EXTENT PERMITTED BY LAW. THE WEBSITE AND THE CONTENT MAY CONTAIN TECHNICAL INACCURACIES OR TYPOGRAPHICAL ERRORS OR OMISSIONS. WE ARE NOT RESPONSIBLE FOR ANY SUCH TECHNICAL INACCURACIES OR TYPOGRAPHICAL ERRORS OR OMISSIONS. WE RESERVE THE RIGHT TO MAKE CHANGES, CORRECTIONS, AND/OR IMPROVEMENTS TO THE WEBSITE AND/OR THE CONTENT AT ANY TIME WITHOUT NOTICE. You agree to defend, indemnify, and hold us and our officers, directors, employees, successors, licensees, and assigns harmless from and against any claims, actions, or demands, including, without limitation, reasonable legal and accounting fees, arising or resulting from your breach of this Agreement or your access to, use, or misuse of the Content or the Website. We shall provide notice to you of any such claim, suit, or proceeding and shall assist you, at your expense, in defending any such claim, suit, or proceeding. We reserve the right to assume the exclusive defense and control of any matter that is subject to indemnification under this section. In such case, you agree to cooperate with any reasonable requests assisting our defense of such matter. The Website is based in the United States. We make no claims concerning whether the Website or any Content may be downloaded, viewed, or be appropriate for use outside of the United States. If you access the Website or the Content from outside of the United States, you do so at your own risk. Whether inside or outside of the United States, you are solely responsible for ensuring compliance with the laws of your specific jurisdiction. On-site sales office by appointment only. An extraordinary creative collaboration <span class="visible-xs-inline visible-sm-inline visible-md-inline visible-xl-block"></span> has resulted in a new landmark for the <span class="visible-xs-inline visible-sm-inline visible-md-inline visible-xl-block"></span> world’s greatest city. Melding Palladian-proportioned <span class="visible-xs-inline visible-sm-inline visible-md-inline visible-xl-block"></span> rooms with the highest engineering technology, <span class="visible-xs-inline visible-sm-inline visible-md-inline visible-xl-block"></span> honest materials, and versatile planning, <span class="visible-xs-inline visible-sm-inline visible-md-inline visible-xl-block"></span> 432 Park Avenue has reinvented the classic <span class="visible-xs-inline visible-sm-inline visible-md-inline visible-xl-block"></span> Park Avenue residence for the 21st century. 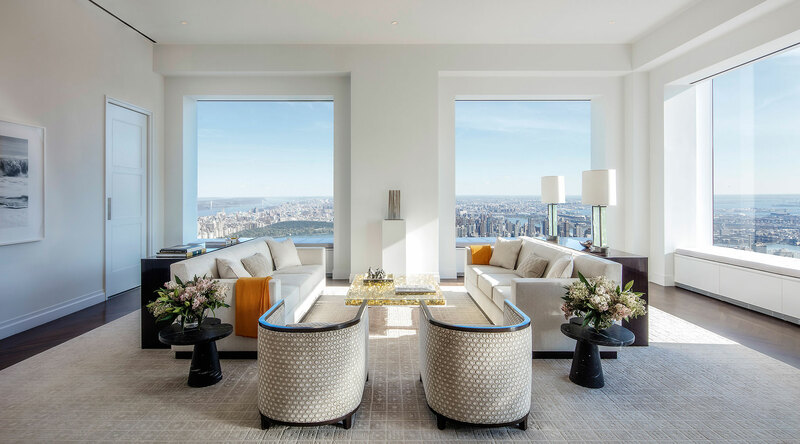 From morning coffee at the window-framed breakfast bar to seamless formal entertaining, 432 Park Avenue’s kitchens elevate daily life. 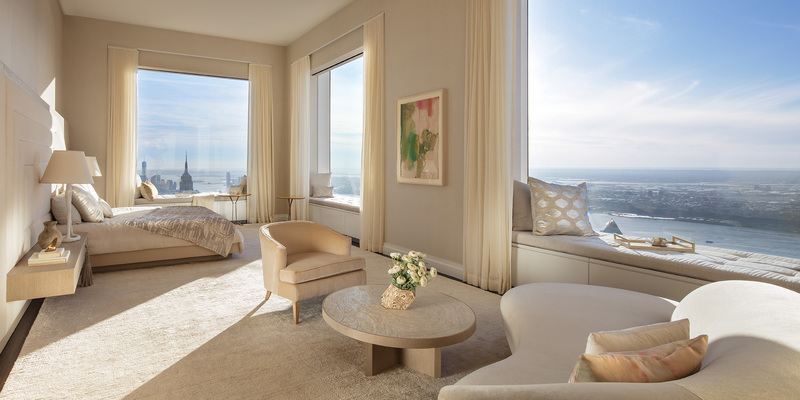 Interior architect Deborah Berke has conceived a sunlight-flooded room whose expansive size and open configuration accommodate a family gathering or catering by the exclusive restaurant. Marble floors and countertops, white-lacquer and oak cabinetry, and Miele appliances infuse functionality with sumptuousness. 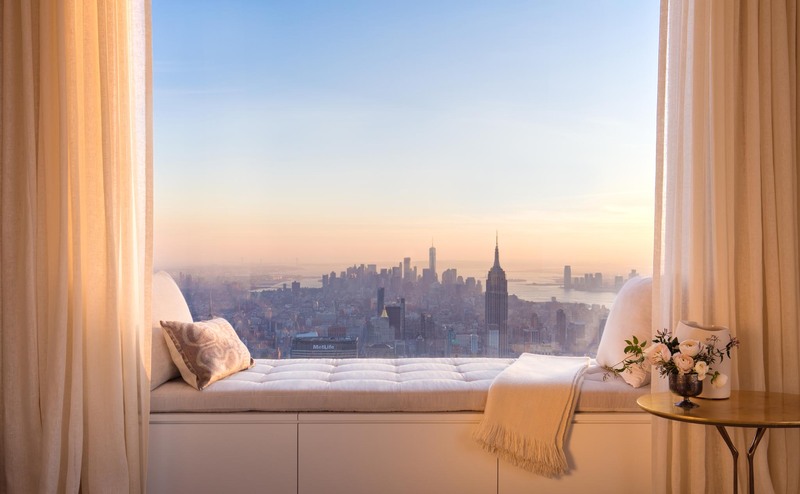 For the master baths at 432 Park Avenue, Deborah Berke celebrates the vistas stretching across the New York skyline to the Atlantic Ocean by placing freestanding soaking tubs within the tower’s signature 10-foot square windows. Marble surfaces, radiant-heated floors, and Dornbracht polished-chrome fittings complete the composition. The icons of the New York skyline have a new companion. 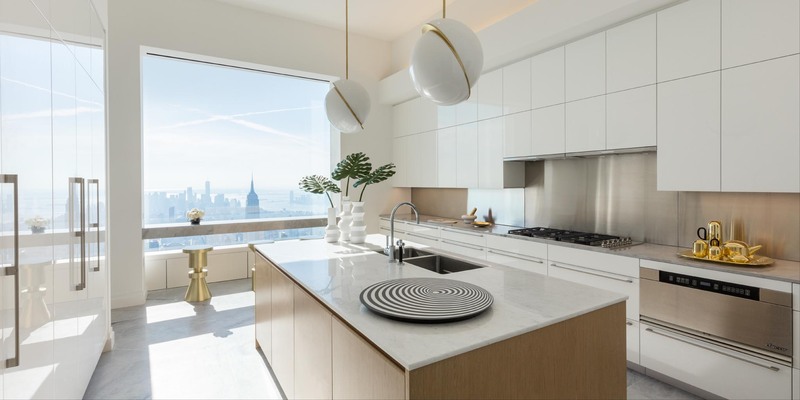 DESIGNED BY RAFAEL VIÑOLY AND RISING 1,396 FEET ABOVE PARK AVENUE BETWEEN 56TH AND 57TH STREETS, 432 PARK AVENUE IS THE TALLEST RESIDENTIAL TOWER IN THE WESTERN HEMISPHERE. An extraordinary creative collaboration has resulted in a new landmark for the world’s greatest city. 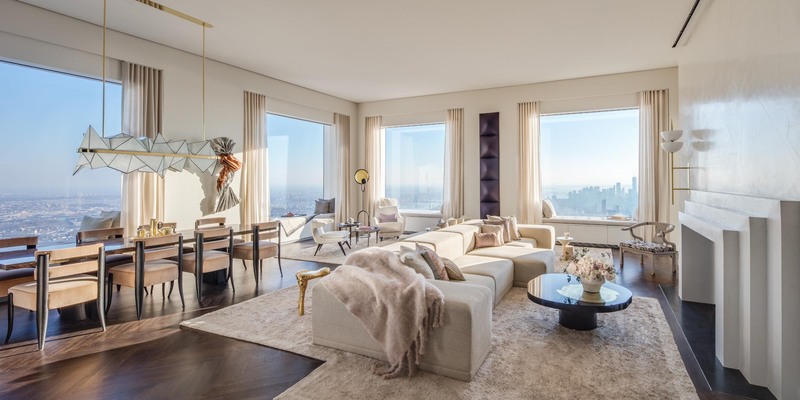 Melding Palladian-proportioned rooms with the highest engineering technology, honest materials, and versatile planning, 432 Park Avenue has reinvented the classic Park Avenue residence for the 21st century. 15'-6" floor-to-floor height throughout with a finished ceiling to 12'-6"